Since 1972, Broaddus Construction has developed the knowledge and personnel necessary to provide a range of construction management services to our clients in the aviation, financial, higher education, healthcare and retail industries. Because every project is unique, Broaddus Construction has the capability of adapting to each client’s objectives with high quality services and delivery systems designed to ensure the success of each building program. As the contractor, our responsibility is to deliver facilities through effective leadership and teamwork while maximizing value to our clients. 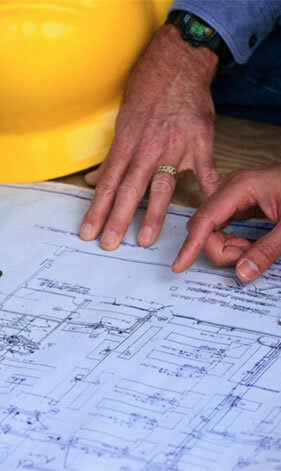 We are capable of managing all aspects of the construction process in each phase, and our comprehensive approach assures our clients that the detailed aspects of their projects are being proactively monitored. Our detailed cost accounting, accurate scheduling and expert field administration ensure efficient execution of the construction project from start to finish. Broaddus Construction has worked in over thirty states, with a scope of operations that reflects the reach of our national customer base. At Broaddus Construction, our purpose is advocating for clients in order to improve the building process. Our consistent record of successful projects and satisfied clients can be attributed to this commitment. We appreciate your taking time to visit our web site to learn more about the services, culture, and resources of our organization. Broaddus Construction has been certified by the Texas Comptroller of Public Accounts (CPA) as a Historically Underutilized Business (HUB) for the State of Texas. This program, which is designed to facilitate the participation of select businesses in state agency procurement opportunities, was expanded to include Service Disabled Veteran Owned Businesses during the last state legislative session. Broaddus Construction is excited to be a part of such a worthy program, and is looking forward to helping entities across Texas achieve their HUB goals.